Billboard reports the project enters the Billboard 200 at No. 7 with opening week sales of 43,000, including 41,000 in traditional album sales. The feat marks the Atlanta band’s third US Top 10 following 2014's "Once More 'Round The Sun" (No. 6) and 2011's "The Hunter" (No. 10). 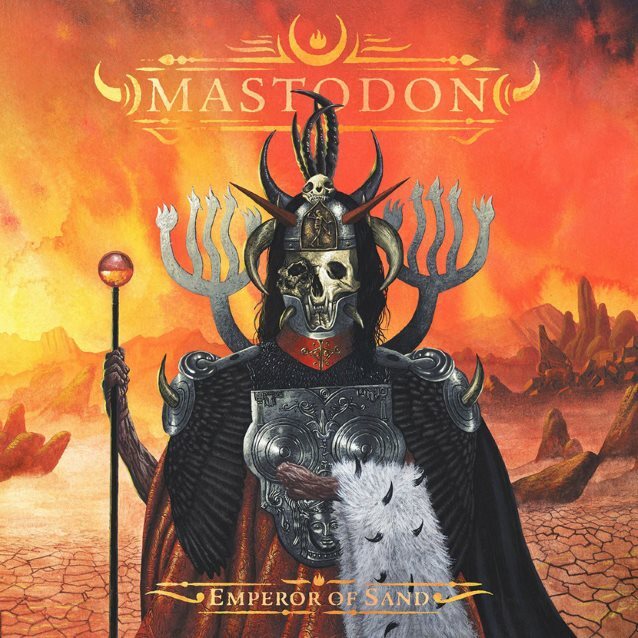 "Emperor Of Sand" is also the top-selling album of the week, and currently sits at No. 1 on the US Top Album Sales chart. The project has debuted in the Top 10 in several other countries, as well. The group recorded the set last year with producer Brendan O’Brien at the Quarry in Kennesaw, Georgia. Mastodon will officially launch the record on a spring tour of North America with Eagles Of Death Metal and Russian Circles that will begin in Missoula, MT on April 14.